Focused On "WHY It Sounds Good"
"I love the site, and it provides an excellent value. After a decade of strumming and learning a lick here and there, my playing is blossoming and I'm inspired in a way I don't think I've ever been! Thank You!" 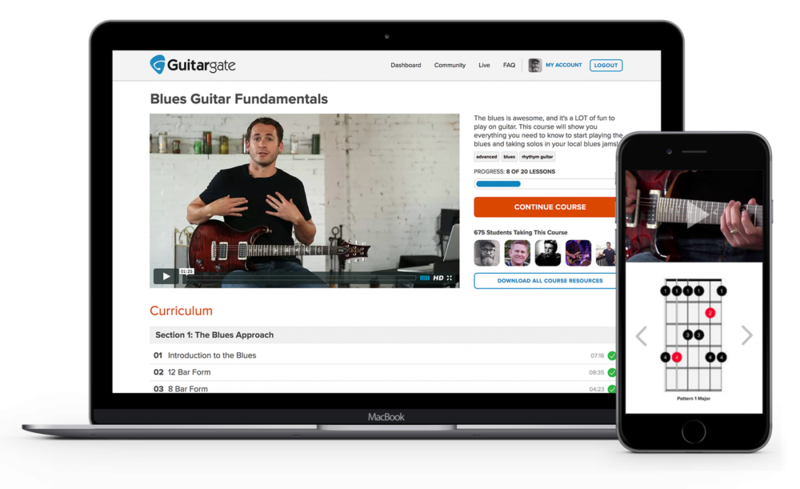 These courses focus on explaining the "why" behind the notes, and how to utilize music theory to bridge the gap between rhythm and lead guitar. Learn how to "sound like you"
"Seriously, I have never learned so much in the past 25 years than I have in the last few months! I love your teaching style, and enjoy learning from the other students." Post videos and get real feedback on your playing from your instructor. Unlike most online learning tools, you receive personal attention. This is as close as you’ll get to having a teacher in your home. "I've been playing guitar for 45 years and the Guitargate lessons and style of teaching is second to none. It is my most important find in my quest to learn guitar! I have never been more motivated to learn!" 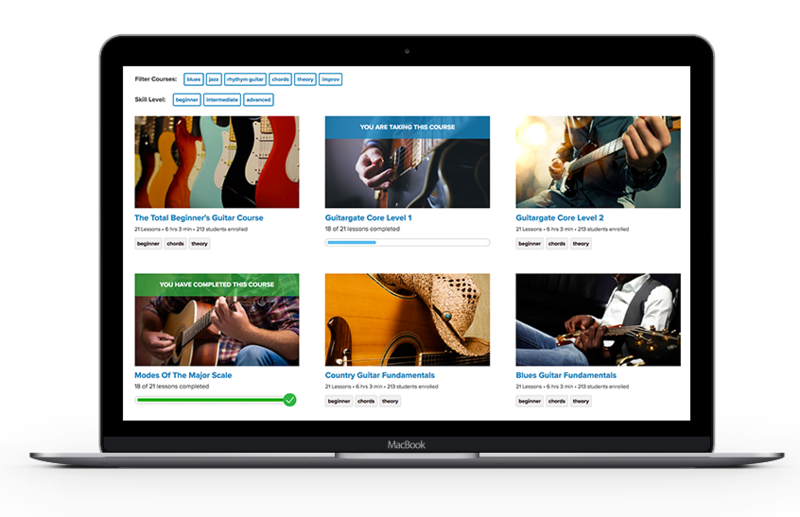 Sign up now and access our video lessons, get instructor feedback, and connect with the Guitargate community.